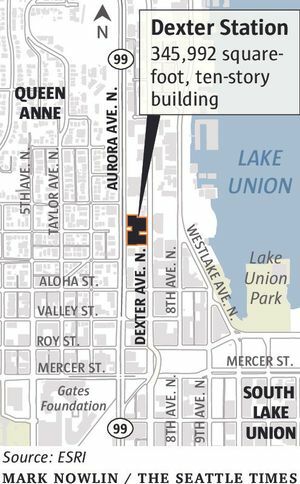 Facebook plans to relocate its Seattle office to a new building on Dexter Avenue with room for perhaps 2,000 employees. Noted architect Frank Gehry will design the interiors of the new office. Four years after opening a small engineering office in Seattle, Facebook now has more than 500 employees in the city. The update came from Paul Carduner, head of the Seattle office, during a news event Wednesday. “We love it here. We’re here to stay,” he said. Facebook scheduled the event before word leaked out that would cement that stay: The company plans to relocate the Seattle office to a new building on Dexter Avenue with room for perhaps 2,000 employees. 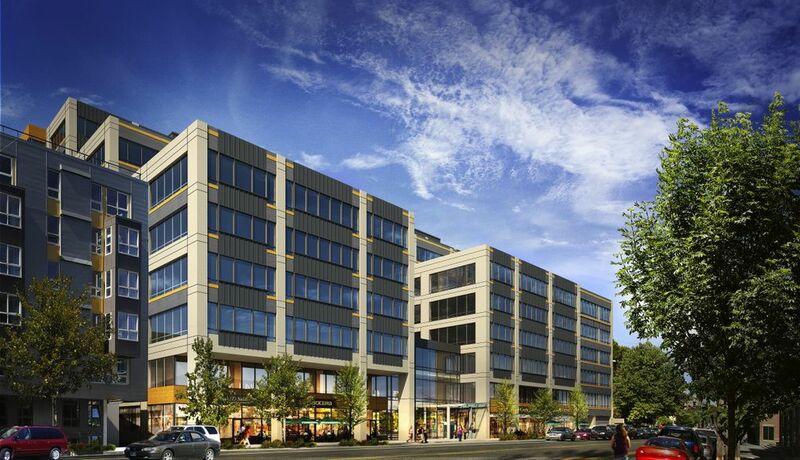 Carduner confirmed that it’s moving into Dexter Station at 1101 Dexter Ave., a building with three decks and a great view. He said the company should move there in early 2016. “When I saw this picture I was like, ‘Yes, I want to work in this building,’ ” he said while showing a slide of the space. Carduner revealed that noted architect Frank Gehry will design the interiors. Gehry also worked on Facebook’s new headquarters in Menlo Park, Calif., and the EMP Museum at Seattle Center. Carduner said Facebook has leased 274,000 square feet with an option to add 62,000 more. That should be enough for a while. “Before we’ll have to find something new again,” he added. Meanwhile, Facebook has been expanding in its current digs in the Metropolitan Park building near the Howell Street ramp to southbound Interstate 5. In January, Carduner disclosed that Facebook had doubled the number of floors it rented in the building, from three to six, making room for up to 800 employees. At the time it employed about 400. Carduner said the company will move into the last two floors in a few weeks. Altogether, it has rented 96,000 square feet in the building. “At some point you start feeling a little bit like sardines,” he said, explaining how Facebook keeps filling up its offices and needing more space. Asked if Facebook might build its next office building in Seattle 10 years out, Carduner said that’s up to the company’s real-estate people, but it’s possible. In Seattle, Facebook works on Facebook’s search, messaging, video, groups, platform, ads and mobile products. Platform projects include the “log in with Facebook” service used by other websites. It was built in Seattle, Carduner said. With more than a billion videos being viewed daily on Facebook, the Seattle team has been charged with optimizing the site’s video platform and adding new features, such as video suggestions. Seattle engineers are also working on “cold storage,” a system that tags and gives priority to “hot data,” which is likely to be accessed and needs to be available. At the same time, the system categorizes “cold” files, which are less likely to be sought and can be stored in a lower power state. 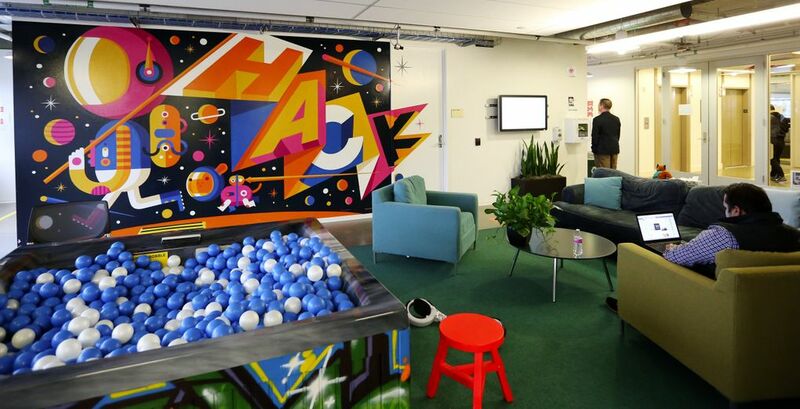 The Seattle office also has a team developing games and experiences for Facebook’s Oculus VR virtual-reality platform. It also does hardware research and development at an office on the Eastside. “You want to catch the talent where they are,” said Bernard Yee, a former PopCap and Bungie game producer now working on first-party titles for Oculus at the Seattle office. Yee said that outside of Montreal — where the government heavily subsidized the game industry — Seattle has the highest concentration of high-level game developers. Carduner raised the event’s geek level by also announcing the release of Stetho, an open-source, Android debugging program developed in Seattle. “You should stay tuned for further announcement about open-source projects we’re releasing for Android and other platforms,” he said.